Atelier 34zero Muzeum is an independent art centre, created in 2014. Born from the ashes of the Atelier 340 Muzeum, its main mission is the study and promotion of sculpture and three-dimensional art in Belgium and abroad. Atelier 34zero Muzeum organises 3 to 4 exhibitions a year in its own spaces as well as several events extra muros. Three types of exhibitions are organised: thematic, confrontational or comparative, and personal (retrospectives). These are accompanied by quality publications; quadrilingual and richly illustrated catalogues, and postcards. Atelier 34zero Muzeum has always been involved in the research and promotion of contemporary art with a special focus on sculpture and three-dimensional art. This year we want to do something for young artists! 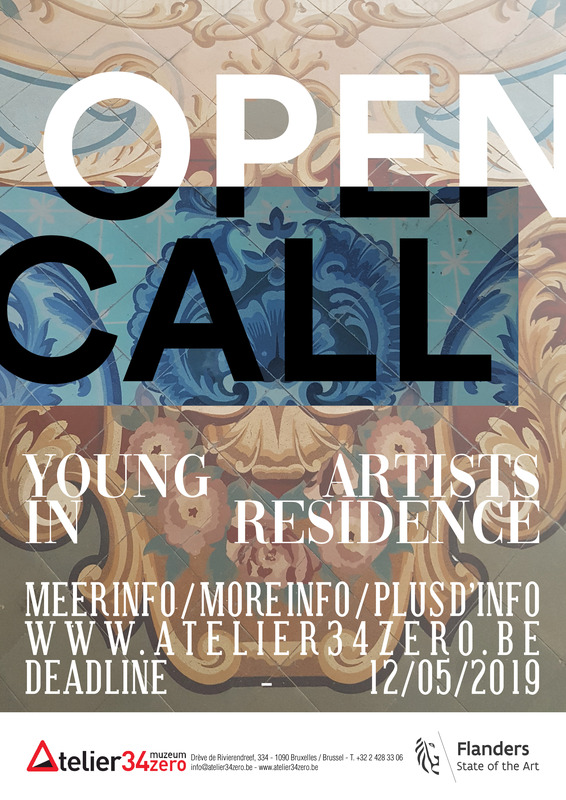 We propose to creators, aged 23 to 33 years old, living or working in Belgium, a program of 4 artistic residencies: 3 residencies for 3 visual artists with three-dimensional work and 1 residency for a graphic designer. The residencies will take place from the 1st of July to the 31st of August 2019 with a subsequent exhibition from the 5th of September to the 15th October. Please note that the deadline for submitting your application and project is Sunday, May 12, 2019. Every Wednesday afternoon, from 2 to 5 pm, Atelier 34zero Muzeum holds open house for children between 6 and 12 years old and proposes workshops in three-dimensional perception and sculptural techniques. The children are closely followed by a professional sculptor whose intention it is to guide them in function of their personality. As a result, this form of teaching is quite different from other socio-cultural activities generally offered to children. Feel like eating in an unusual and cultural place? Stop looking, Atelier 34zero Muzeum presents its cultural café-restaurant. Our chef invites you to discover specialties from Jette and Poland supplied throughout the seasons by our organic vegetable garden. Our wide selection of belgian and Polish beers as well as our many vodkas will delight you. During the summer months you can enjoy our garden terras and relax in the sunny parc. Meanwhile in the winter we welcome you in a warm space designed by our carpenters and decorated by us.